The central banks will be replaced; but how? The dollar will collapse, but not by how most envision it. -Quick comments about gold and silver. I like what I see. Continue buying on dips. -The US is the fourth largest country in land area, but number one with livable land. -The US is by far the world’s largest oil and gas producer. This disparity with the rest of the world continues to grow. Disregard the FUD you hear about a collapsing petrodollar. -The US used to be the beacon of hope to the rest of the world with its alt- and patriot-media. Since the US still has freedom of speech, the globalists have taken over and destroyed this media from within. All done by design. We know the names of the shill change agents. -Facebook was and is designed to be addictive. The social media site is a “social-validation feedback loop” and that the algorithm subconsciously exploits psychological vulnerabilities. -When a Facebook user receives a like or a comment on a post, the user experiences a “little dopamine hit,” which encourages them to want to post again. -Jeff Bezos is a compliant NWO puppet, who owes his success to cheap financing. -As long as Amazon grows their retail business they will make money, even though they lost almost $1 billion last year selling stuff on their site. Retail is a loss leader for them. It’s impossible to compete with a company that views a business as a loss leader. -Understanding the Agenda to enslave humanity can be profitable. -How did Orwell know that the world would be divided into three semi-autonomous regions? He obviously knew that China would be much larger in the future. -Kissinger’s secret visit to China in 1971 helped form the current state of Sino-American affairs, and was the first step of the New World Order’s next phase toward global government. -China was promised massive economic growth and technology transfers if they worked with the banking families. -In 1971, the banking families and globalists formally chose the United States dollar as the reserve currency. -In 1971, the same internationalists formally chose China as the manufacturing base of the New World Order. -In 1971, The Nixon regime shut the gold window to international payments; making the dollar totally fiat. This was a necessary prerequisite. -By the mid to late 70s, the US began to offshore manufacturing and rely on imports more than any other time previously. China benefited more than any other nation. -In order for the US dollar to become the world’s reserve currency, massive trade, budget, and capital deficits were needed. This would allow the US to supply the world with the necessary dollars. -As dollar printing cranked up exponentially, deflationary forces were needed to keep inflation in check. America exported inflation and imported deflation. Deflation was America’s most vital import. -We cannot turnaround a trend that has been in the making for almost 50 years. -My cryptocurrency portfolio has grown from 2.5% of my net worth to 5%. I have not added a dime in new money. -Thank you bitcoin. I am glad I performed my own independent analysis. I am more sure in my trading. -A discussion of bitcoin and the alt-coins. The disparity will widen until the hardfork. -The naive libertarian bitcoin promoters are pumping decentralized blockchain to the unwashed as the answer to our the fractional-reserve slavery. Recall that Dimon, Fink, and Buffett are shills in the contrived debate. It’s a fix and the next step of our slavery is in sight. -The sobering results of gaslighting. How we are being gaslighted into a single-payer health care system. This was done by design and was the intent all along. -The concept of Gaslighting. What it is and how it is employed on the masses. -Examples of how the globalists are gaslighting us. -1984 was the “Rosetta Stone” for understanding the mind manipulation techniques of the globalists. -Orwell wrote about the Newspeak Dictionary. He understood that victims of tyranny were not to have a developed vocabulary. -Even intelligent people can be conned by gaslighting if they are not aware of the concept of gaslighting. Market update with some recommendations; Why was the Cloward-Piven strategy promoted? Was the Stanford Prison Experiment a failure? A Correction from last week’s show – Tom Bearden PhD. The numbers in the financial alt-media don’t add up. They never have and never will. -Chinese real estate sector; huge official intervention keeping real estate prices and sales elevated. -Millennial banking families chose ChiCom gov’t over Chiang Kai-shek. In return they would set up a private central bank and move away from gold. The path is not reversible. -Anyone following the alt-media financial/economics gurus have been on the losing end. Done by design. -I do not follow any economist or financial analyst per se, but will take an interest in anyone who has a long-term track record of success. I do my own research and make my own conclusions. -Economic theory and economists going back to Adam Smith were and are developed and promoted by the banking families. Adam Smith’s theory helped to undo national sovereignty. Ask yourself; If there are collapse talkers that get promoted on the mainstream and alt-media, who have been wrong for over a decade why do the alt-media followers continue to listen? I know why. Final shortwave show. Cryptocurrency trading and some thoughts about how to trade going forward as the upcoming potential bitcoin hardfork comes closer. I am bullish on bitcoin; not because of what the libertarians and sound money people are saying. I am bullish, because it is an officially sponsored asset, developed and promoted by dark intelligence. Bitcoin is the prototype NWO currency. The NWO shills are bashing Bitcoin and provide the Hegelian, false opposition needed to propel it higher. The best option to those who really oppose it is not to say anything and not discuss it in the press. Look at the sound money advocates fleeing gold and moving into bitcoin and the alt-coins. Bonds are well supported as economic data shows inflation is muted. Short term rates may not move up as much as some think. Beware of the perma-bears in asset markets. These real estate bears have been bearish since last decade and all throughout the market bottom. The average person touches his/her cellphone 2,617 times a day. Putting a Finger on Our Phone Obsession; Q. How often do we touch our phones? A. About 2,617 times a day. -Don’t talk to me about your opinions. My findings are based on observations and 33 years of economic study. I worked in economic research on Wall Street. I don’t make my decisions based on other people’s commentary. It’s mostly garbage. I only talk about things I understand. -The precedents, regulations, laws, and government controls implemented in the wake of 2008 have allowed these millennial banking families to consolidate their control over the global economy. -A message of hope and redemption. Texe Marrs and his discussion of Mark 5:36. How the Beast financial system will be implemented. Observations on the transformation of Patriot radio over the years. Do not invest in ICOs; stick with the digital coins that positions themselves as money. I recommend a portfolio of six coins that will continue to outpace all others. Eventually all cash will be transitioned into digital currencies. No need for the IRS as all taxes and fees will be deducted from our digital cryptocash transactions. Our digital cash will degrade over time and will need to be spent as soon as it is received. Nations around the world are moving to build their economies around blockchain and cryptocurrency technologies. Which Central Bank Is the Most Likely to Restart Quantitative Easing? -All media outlets put out stories of police violence. They are placed there to remind us we have no power and we are already in a police state. -What news sources do I look to everyday. -Gold and silver neutral. Silver holding up well after flash crash. To test 50-day mva? -Patriots and their confirmation biases may make them feel better, but when it comes to investing, confirmation bias will put them in the poor house. -Forget the promise of the 1990’s and the concept of the information superhighway with truth for everyone. The internet has dumbed-down society. The patriot shock jocks and their change agents have created a mindless bunch of sports fans. -The blockchain platform will record everything. 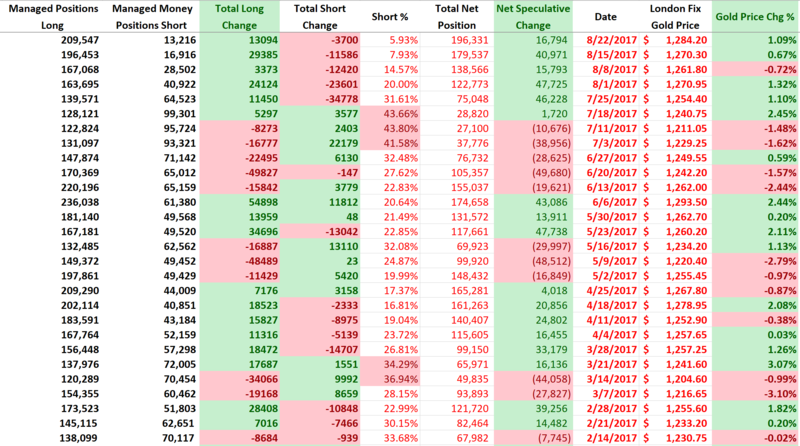 Market Update – Remember, People Like The Lie. -Bond yields are low not because of low inflation; they are low, because of official intervention. Imagine what bond yields would be if the central banks didn’t intervene with their trillions. -Jim Rickards and Martin Armstrong are geniuses, but if they talked conspiracy they would both lose all their clients. -When it comes to their money people like The Lie. They live The Lie, they talk The Lie and they sell The Lie. Everyone has a vested interest in perpetuating The Lie. -Beware of sound money outfits and alt-media financial sites like the Daily Reckoning and KWN. A quick commentary on gold and silver. Will falling oil prices keep the Fed from hiking rates? How can the US Fed be foolish? It is a well-established rule in the patriot community that the US Fed was carefully crafted by the private banking families to bring about total control of the country. Through the boom-bust cycles the private banking families have been consolidating the world’s wealth. So ask yourself, is what the US Fed doing now foolish? Of course, not. It’s all part of the plan. The economy and real estate markets will do fine until the banking families signal they are done. The market bottom in 2009 with the S&P 500 close of 666 was the signal for the final phase implementation. That will be noted by spikes in the long-end of the yield curve. Mike Pence is the real-life Frank Underwood of House of Cards. Topics discussed – Gold and silver trading in a trendless market. Ethereum flash crash. Longer dated US bond yields still falling slowly; central bank buying spree can continue. How will AMZN consolidate WFM? Perhaps AMZN should have bought out Aldi or TJs. Alex Jones using false attribution error to blame everyone else about the nation’s problems. AJ continues to bash Megyn Kelly. Perhaps she rebuffed his advances. Oil and gas producers get more efficient. Drillers are short-term oversold (XOP). Listening to the gloom and doomers of patriot radio, like the x22 Report is like listening to a dystopian audio book. This is being done on purpose. We need to walk away from their commentary and think for ourselves. We need to stick to the data. The private central banks are putting on a hawkish show for the masses, while they continue to gobble up the world for their owners. Put your thinking caps on and leave your psychological biases at the door. He could have agreed to have both sides record. There is a reason why the promoters of this Global Conspiracy concentrate on AJ…. Beware of Clickbait – What Type Of Collapse Are You Looking For!?! Here’s the perfect example of how insane our financial system has become. 2015 was the worst year for drug overdose deaths in US history. Then 2016 came along.